Chinese banks extended 1.15 trillion yuan (about 179.7 billion U.S. dollars) in new yuan-denominated loans in May, edging down from 1.18 trillion yuan in April, central bank data showed Tuesday. The figure was 40.5 billion yuan more than the same period last year, the People's Bank of China said in an online statement. Breakdown of the May loan data showed a pick-up in demand for credit from households, while that from non-financial enterprises, government agencies and non-profit institutions dipped. As of the end of May, outstanding yuan loans grew 12 percent from a year earlier to 132.89 trillion yuan. M2, a broad measure of money supply that covers cash in circulation and all deposits, grew 8.3 percent year on year, unchanged from a month earlier. The narrow measure of money supply (M1), which covers cash in circulation plus demand deposits, rose 6 percent year-on-year at the end of May, down from 7.2 percent at the end of April. 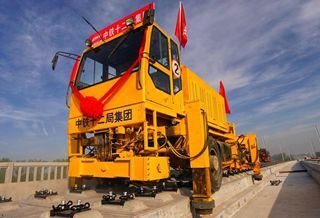 Total social finance, a broad measure of funds that non-financial firms and households get from the financial system, increased by 760.8 billion yuan in May, more than halved from the April level and 302.3 billion yuan less than a year earlier. Chinese banks extended a record 13.5 trillion yuan in new loans last year, up from 12.6 trillion yuan in 2016. The government targeted annual GDP growth of around 6.5 percent for 2018, and planned to maintain moderate growth in M2 while ensuring a reasonable and stable level of liquidity.